The Windhaven Insurance Orange Bowl Paddle Championship is taking place on the waters of Biscayne Bay. The race is part of the Orange Bowls year round calendar of special sporting events held throughout Greater Miami and the Beaches, including the MetroPCS Orange Bowl Basketball Classic, Sunshine State Lacrosse Games, Orange Bowl International Youth Regatta, Orange Bowl Swim Classic, Orange Bowl International Tennis Championships and Orange Bowl Track and Field. 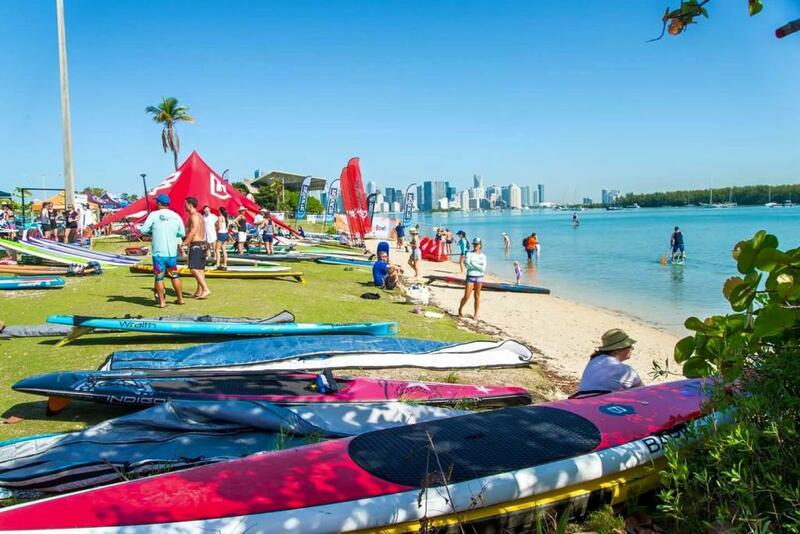 The Orange Bowl Paddle Championship will be held at Key Biscaynes Marine Stadium Flexpark drawing 350 racers in both the elite and recreational categories. Expect local celebrities and paddle pros amidst racers and spectators. This prestigious racing event and clinic is expected to draw the worlds top elite competitors. The Paddle Championship consists of five courseslong, short, novice, sprint and corporatethat will wind their way around Virginia Key. The long race is 8.6 miles with a variety of water conditions to contend with including the flats, the bay and open ocean with the possibility of strong currents. The short race is a 2.5 mile loop through protected waters making it accessible to paddlers of all ages and fitness levels. The Corporate Challenge is a fun way to get your office teammates involved in a little outdoor fun. Four person teams compete in a series of challenges for a chance to take home the crown! The long race top three male and female finishers in both the 126 and 14 board class have a chance to take home cash prizes with a guaranteed $1,000 prize for first place finishers. Registration starts at 6:30 a.m. with the long race launching at 8 a.m., followed by the short race at 8:15 a.m., novice race at 9:30 a.m., the OC-6 sprint race at 10:00 a.m., and the AVMED Corporate Challenge at noon, following a briefing at 11:30 a.m. The festivities go until 2 p.m. with prizes greeting paddlers as they cross the finish line, lunch, and closing ceremonies. Breakfast is also included and every paddler receives an event shirt with registration. Please note that race times are subject to change. The Paddle Championship not only promises a fun time on the water, but its also benefitting a good cause. The charity-driven event will donate all of its funds to Big Brothers Big Sisters of Miami supporting children in the community by funding mentorship activities and programming. Of course, if youre unable to participate in this years Paddle Championship, Miamis waters offer perfect tranquil, calm conditions throughout the year not only for paddle boarding, but also for kayaking and canoeing. There are unique waterways to explore and ample vendors renting equipment from South Beach to Key Biscayne. Paddle the waters of Key Biscayne and Virginia Key year round by renting equipment from Sailboards Miami Water Sports, the Virginia Key Outdoor Center or Crandon Park. Get in enough practice and maybe youll graduate from recreational to elite racer by the time the next Paddle Championship rolls around. Share the Love: We'd love to see your photos! Share them with us on Facebook, Twitter or Instagram and dont forget to use the hashtags: #FoundInMiami.